Still think the sea south of the island lacks 'activity'. Either be it a smaller island down south or a few oilrigs. At the moment it just feels very empty. 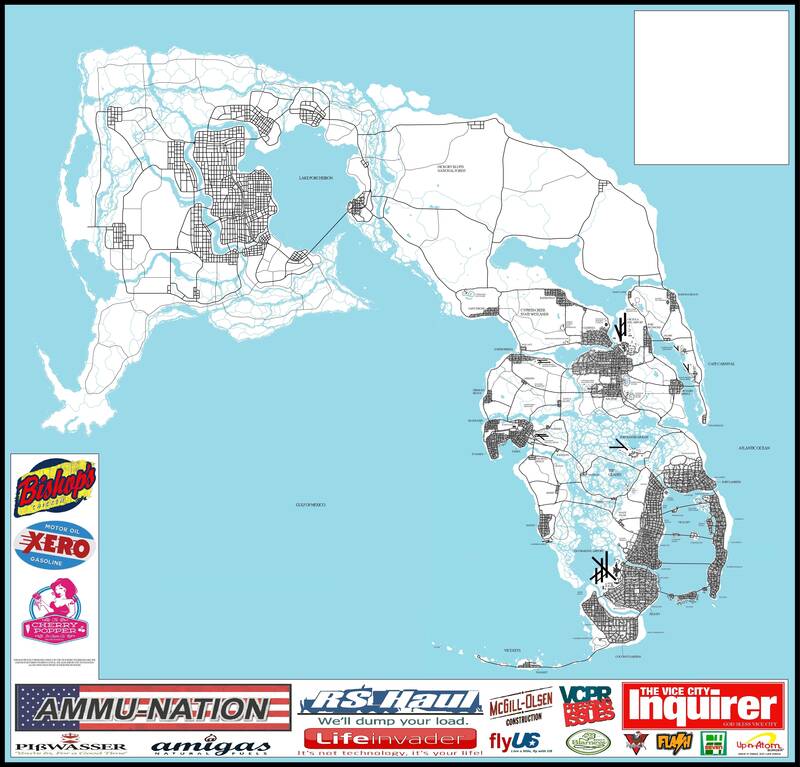 My take: The smaller island could be Cuba influenced. With a few small towns and city based on Havana, it could just make the area varied enough to be something different. Make it governed by an evil communist dictator or something and give it Spanish names. Make it NOT part of the USA. I love how there are two large ports, and the rest of the island is countryside and industry, just how real live would be as well (for example, look at Jamaica or Nassau). I could very well see this as a map for Just Cause or a future GTA. Although I think an 70s/80s vibe would work best once again for this area. Thank you so much for the comment! To start of I love your idea on a cuba-esque region and I do plan on adding something similar to that down in the southern corner of the map just have to get to it eventually ( city name ideas, Santiego, Mariel, any other ideas). And yeah I agree on the countryside aspect to the region I'm currently working on, just have to flesh it out some more (crazy cultists, communes, epsilon program??? and all the such abound in the country and rural areas of the south). I do also plan on adding a few other goodies to the map as I go, oil rigs for sure to the gulf region, just to spice things up. Hopefully here soon I'll have a better update done with way more content for you guys. I am already happy that you are keeping this thread alive and well with your map. I would seriously love to see this map being created in real life. Hell, if Rockstar ain't doing it, I might actually contact you in a few years and try to create this ourselves (The company I am working for is currently trying to buy some indie developer game studios). Anyhow, that is all future and uncertainty for now. Hey guys, after what seems like forever I'm back with a little update on the Saint Roche/Vice City map I've been working on forever. I'm sad to say I haven't really gotten as far along as I wanted too with the time between updates, just haven't really had time to map lately. But progress is progress so here's to that. On the map itself I expanded the area connecting SR and VC, I've been thinking of names lately but the only one I really liked was for the national forest, which is why it's the only area that's labeled as of now. I'm gonna try here soon to start throwing down some building to try and flesh out the countryside areas as that seems to be the easiest thing to do right now, filling in Sanit Roche seems daunting. Also by expanding the countryside I made a lake, I know it's not really geographically correct but I like it, thinking of naming it Seminole Lake, any thoughts. As always comments and critiques are welcome.